our track workout was at a local high school. the track was dark, and the buildings were impressive. today at recess i saw my first moth flying, wings white in the sunshine. before the beauty of winter is gone, we need to really see it and appreciate it. bare branches and mud brown earth. happy monday! this is the little miami river on sunday afternoon. its color is a "sign of spring", and there are lots of them around. seen any? august 28th at the hyde park farmers' market, it was really hot. the flowers shone in the morning sun, and an icy drink was perfect. while we enjoy winter, it's hard to imagine the baking sun. aaah. vitamin d from a picture. what's happening this weekend? joy to you. when running on empty downtown streets with the group, i stay close. yesterday i stopped on the bridge to take a picture, and never saw the friend i was running with again. he ran ahead, and we must have joined different pace groups. there were maybe 100 runners total. someday i'll come down with a car and a real camera, but in the meantime you can see that it's beautiful, urban, and dark. happily, not raining yesterday. joy to you! 3. julia child: for most people, the only real stumbling block is fear of failure. in cooking you've got to have a what-the-hell attitude. 2. andy warhol: they say that time changes things but you actually have to change them yourself. 1. penny de los santos: you have to give yourself that dream assignment. no one is going to give it to you. besides the quotes, the meat (pun intended) of the book is excellent. my friend lauren also wrote about it. you can learn more through kathleen's blog. a helpful and down-to-earth beauty. what's cooking? one day when we lived in kansas city and my son was a toddler, i was trying to light the gas fireplace. the flames shot out and burned my eyebrows. it terrified me. what would have happened if i had gotten on fire, and my little one was playing behind me? i never used the fireplace again. we've lived now in this house for seven years, and never used it here either. until this christmas, when i got the best gift. my husband had a fireplace company come and check it, fix it up, and make it so easy to turn on and off. it warms up our family room. so for belated monday colors, here are the colors of cozy (and safe). what's beautiful where you are? and the only color in the park is the flag flying bright above the bare branches. waiting for spring. winter beauty. our class has a beautifully illustrated book of this address, and we challenged our third graders to read it repeatedly and present it to the class. many took the challenge, and we could see them rehearsing and pulling meaning out of the big words. the little ones (1st and 2nd graders in our multi-grade class) were patient, listening to the same words more than once. inspiring beauty. happy president's day. well, it's a great summer break - wait! what's out the window? looking down, through the hallway window - snow? can't be! here we are - chihuly, summer-bright. but look out the window. you can see the cognitive dissonance one has here. here it is, though. the real outside. even the outdoor sculptures are covered in snow. goodbye franklin park conservatory. time to go back to winter. it was a lovely summer dream. happy weekend! summer in a small glass house. and how will he ever reach the hanging plants to water them? have any difficult problems like his? mine is: how to keep deer out of the garden without using a fence. joy to you! it's so romantic at the conservatory. they charge professional photographers to use it. i can imagine wedding parties here in their finery. paul busse's garden railway runs by the three little pigs, the old woman who lives in a shoe and other children's story characters. sweet. i love how grown-ups can still enjoy their childhood interests. it's summer on the little railroad! how's your sunny neighborhood? 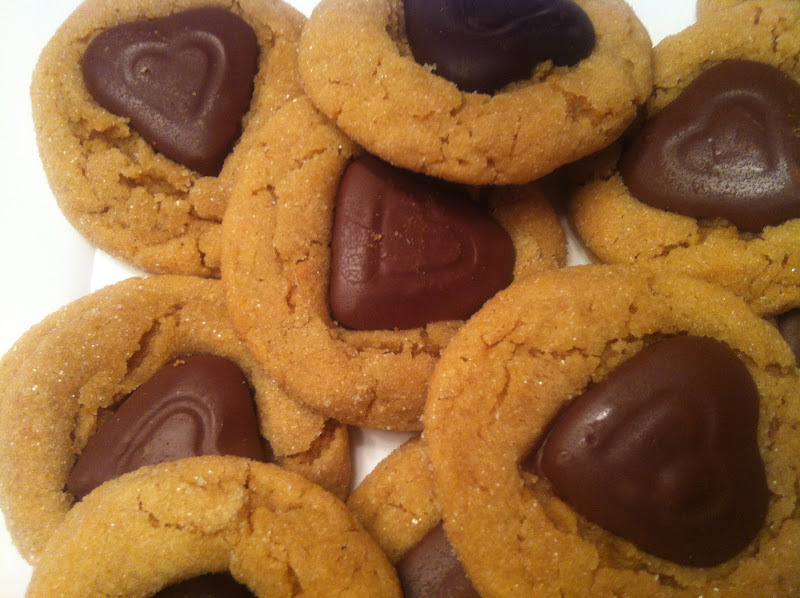 but these peanut butter ones are a favorite. thanks gina and julia! happy valentine's day. do you celebrate today? if you are ever in columbus, ohio, be sure to stop by this conservatory. pay no attention to the snow on the bushes - it's summer break inside. chihuly's glass ceilings in the desert area will warm you. the conservatory was built in 1895. do these children hanging over the fence remind you of anyone? hmm. visitors from the past? an enormous whirling valentine from chihuly (and me). hope you have a lovely and loving day. in cincinnati, it's cold with a bit of snow, but in my blog's corner of the world, this week we're on summer break. it's time to relax and enjoy the colors of summer, courtesy of franklin park conservatory in columbus, ohio. here it's warm, and chihuly's brilliant-colored glass is found everywhere - even in the koi pond. no sunscreen required. what's new where you are?